In only 6 months, CP Technology has designed and manufactured the steel framed building, the lifting and handling equipment, and most significantly the carousel plant, thereby relieving the client of the management and coordination of multiple suppliers. The widening of the motorway network between Milan and Naples includes the construction of the Santa Lucia Tunnel. The tunnel, with an excavated diameter of 15.87 meters, is using the largest TBM in Europe. Using advanced 3D design tools, the Engineering Office, designs the segment moulds including an immediate structural verification of the assembly. Specialist engineers are responsible for ensuring compliance with strict manufacturing tolerances using 3D controls throughout the entire production process. The hydraulic systems are designed according to the client’s specifications. 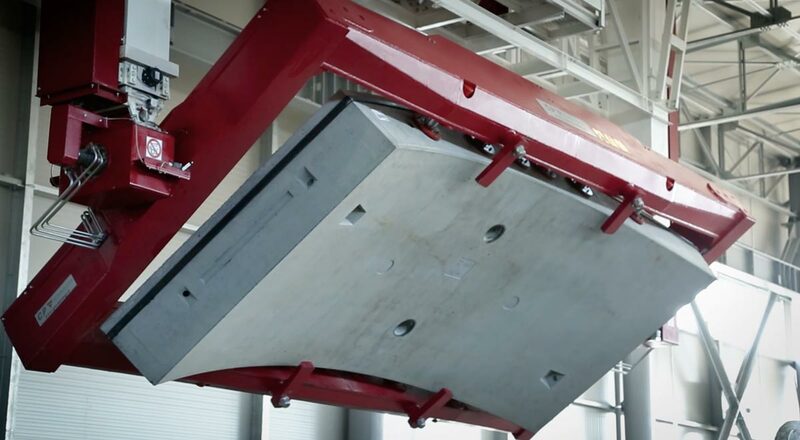 The advantage of the customized design of both the steel building structure and the lifting equipment associated with the prefabrication process, enables consistent time and cost savings by eliminating any interferences during the construction process and the coordination of different suppliers. From the management perspective, CP-Technology has introduced the concepts of Factory 4.0 within the prefabrication process. 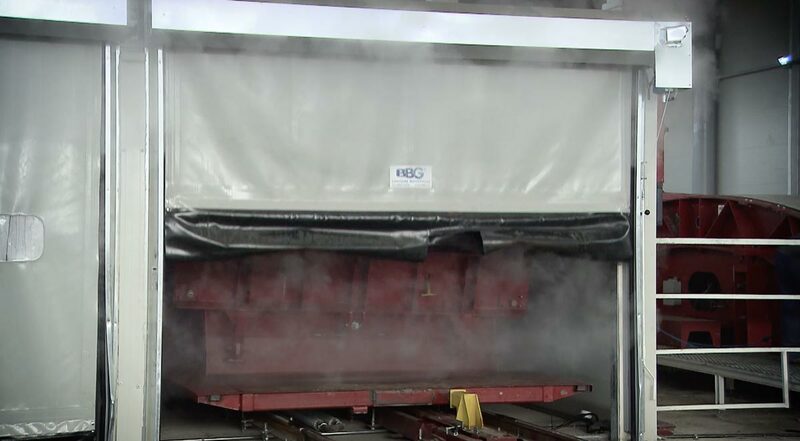 The aim is to minimize the cost and production time, concurrently improving the safety and traceability of the prefabricated element. 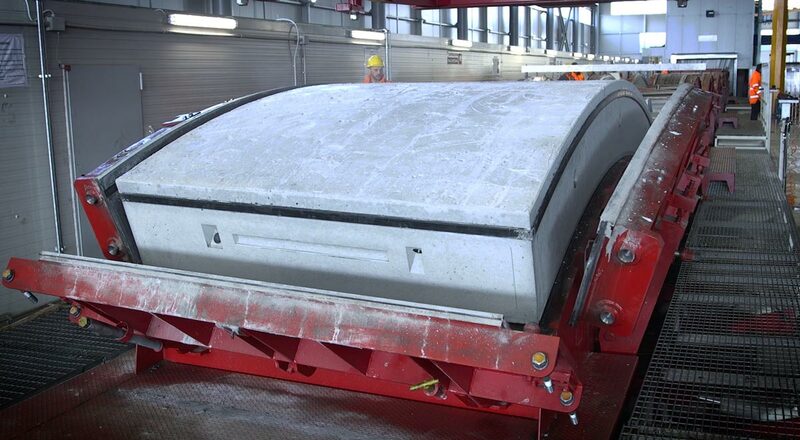 The vibration of the concrete is fundamental to deliver a perfect concrete finish and the maximum amount of concrete filling the mould during the segment casting. For this purpose and in accordance with the casting cycle, CP-Technology may propose electric with inverter or pneumatic vibration, within an automatic or manually controlled cycle. In particular, all the kinematics of the moving parts are highly developed and optimised. The opening of the side shutter is integrated into the mould: a new shutter opening system has been introduced, located below the walkway. 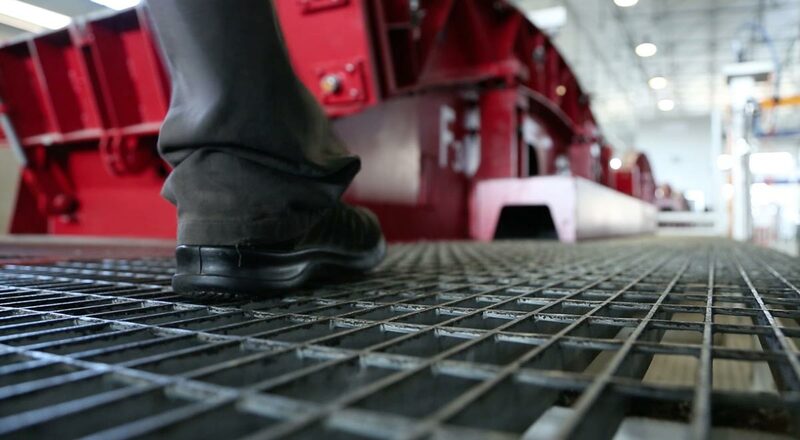 An innovative solution which saves time, is cost effective and with significant safety improvements. 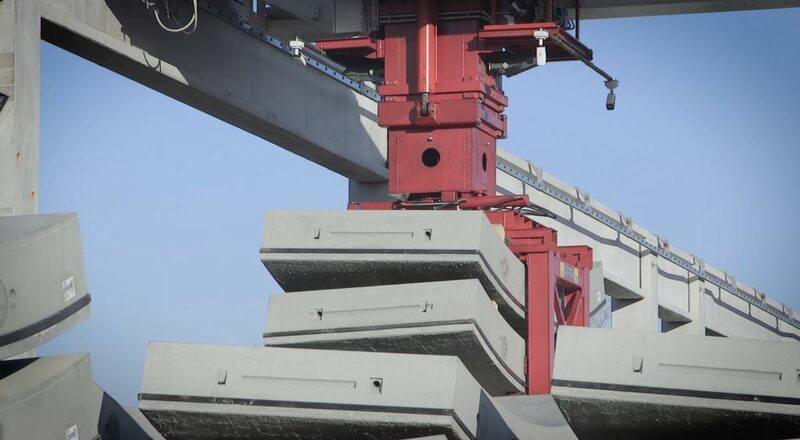 Within the working area, the operator can easily and safely move along platforms aligned with the machinery without the risks of falling or crushing. 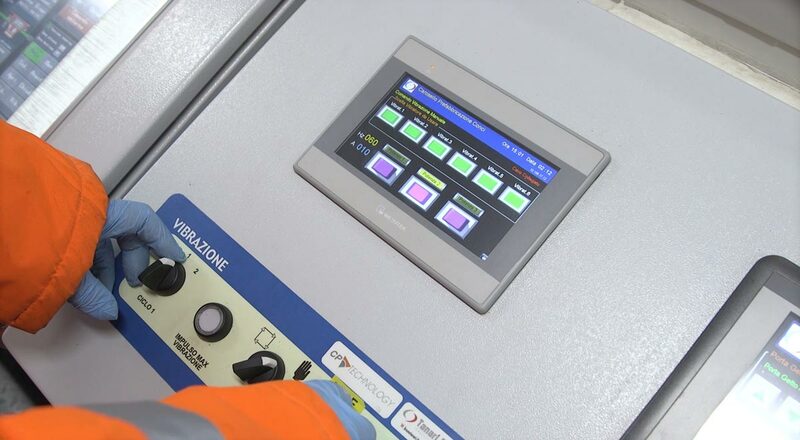 The plant is equipped with remote control systems operated via smartphone or PC, enabling real-time control of the production and solving faults as soon as they occur.